Don’t worry! These aren’t spoilers. Washington, D.C.– Urban Girl Magazine had the honor of going to a special first look screening of FOX’s new upcoming fall series, and Pitch. In contrast to the action-packed comedy, Pitch is a fictional TV drama about the first female drafted into Major League Baseball. Ginny Baker (Kylie Bunbury) is a young, headstrong African American woman who was born with natural athletic talent. Which was much to her hard to please father, Bill’s (Michael Beach) surprise. Ginny finally got her shot after being scouted at a neighborhood game by a talent scout for the San Diego Padres. Fast forward to game day and It’s about. To go. Down. Of course throughout the course of getting signed to the professional team, Ginny has dealt with the typical pressures you can imagine a woman would have to deal with when playing in a male dominated sport. She has to figure out how to find her confidence on the field while coming to terms with the load of being a role model to young girls and gaining the respect of her team and team captain, Mike Lawson (Mark-Paul Gosselaar). At the same, dealing with demons from her past. 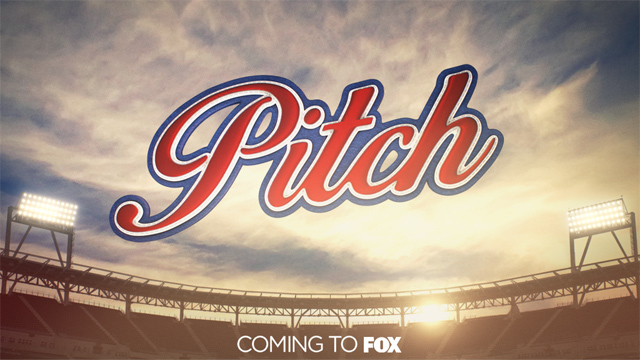 Don’t miss Pitch‘s premier on FOX September 22nd!